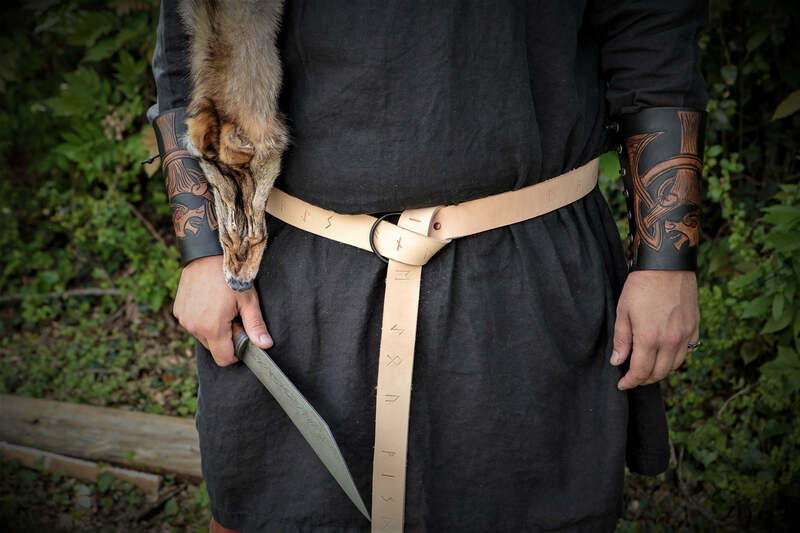 The belt features ancient runic script around the entirety of the belt. 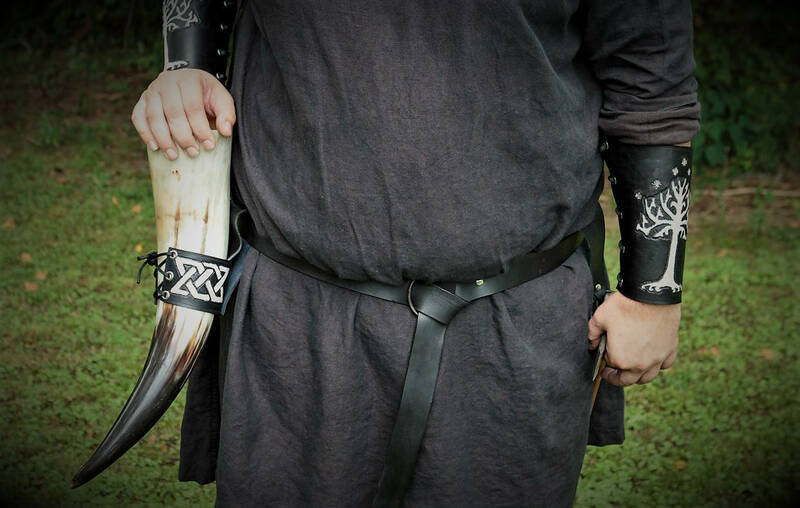 Customization is available if a particular combination of runes is desired. 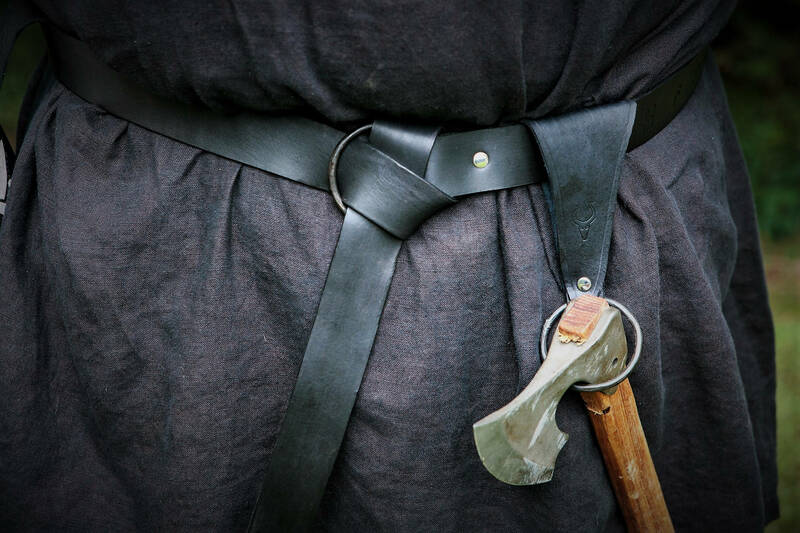 Also, the buckle has a handforged ring (by Josh Weston the Pixel Smith) and is very long so that you can knot it. 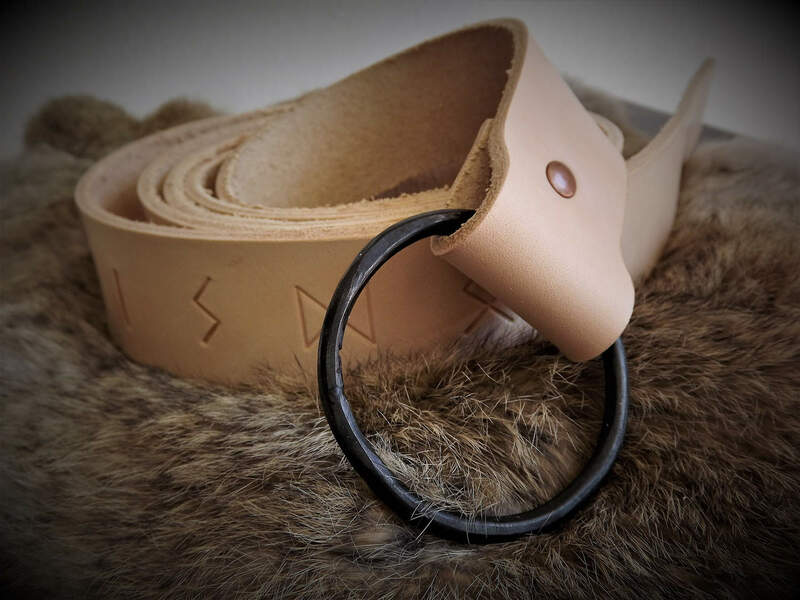 Whether this is for your day to day wear or for special adventures, this is the perfect belt for vikings and druids in the modern world.